A few months ago I received a lovely package from Plum Deluxe and I was hooked. 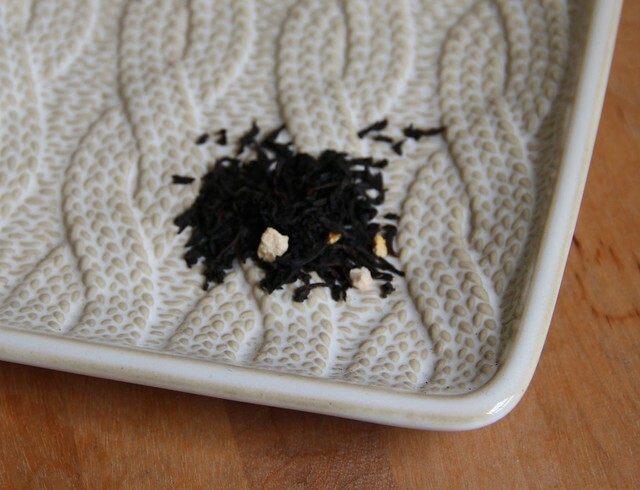 I went ahead and joined their Tea of the Month club which I have been enjoying quite a bit. I haven’t shared those teas here, however, since they are unavailable to those outside the club. With the coming summer months I have been looking for good iced tea blends, so I decided to order a few from Plum Deluxe and see what they have to offer. High on their list of recommended blends for iced tea is their Hammock Blend Black Tea. 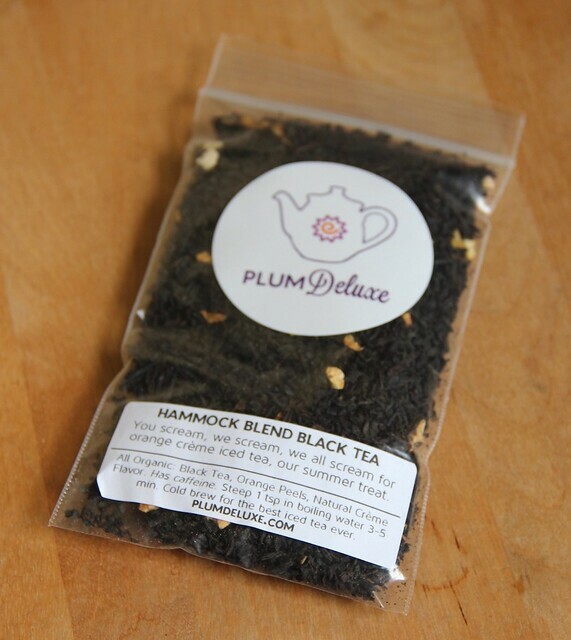 From the label, Hammock Blend contains black tea, orange peels, and natural creme flavor. Hammock Blend is available for $7.00 an ounce. I have heard talk from other Plum Deluxe customers that this tea tastes like an Orange Creamsicle, or what we used to call 50/50 bars and I was intrigued to try. When I opened the package I could totally smell the orange and the cream. Once brewed I got more of the black tea aroma. I added a bit of sugar and the tea was delightfully orange and creamy. I noticed one of the other customers added milk to hers and made a tea latte, which she said just accentuated the creamy flavor of the tea. This one definitely reminded me of running after the ice cream truck and eating popsicles at the park during summer.